Mysuru: To give a safari-like feeling to Dasara tourists, the Tourism Department is planning to introduce open Sports Utility Vehicles (SUVs) to take tourists for sight-seeing of heritage sites. This facility will be an added attraction this Dasara (Sept. 21-30). 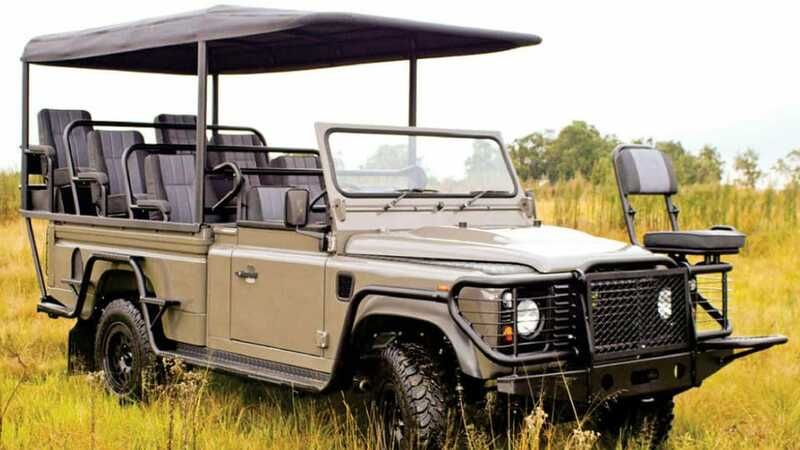 The vehicles will be customised like the ones used in jungle safaris and over five to six tourists can be accommodated in each vehicle. The Department has plans to introduce SUVs as the “Palace-on-Wheels” where tourists were taken on a Palace tour last Dasara was a huge hit. The Department this year wants to cash-in on the popularity of such tours by offering exclusive vehicles where individual groups can have the facility for their own use by paying a little extra. Some tourists prefer exclusive trips where they can go along with their families and friends instead of crowding inside the buses. Such SUV tours will give them privacy too, say Department sources. According to sources, the Department, by introducing the SUV facility, has also planned to put an end to the menace of fake tourist guides. Sources said that every year, a lot of tourists complain that many people pose as registered guides and take them on a royal ride. These guides, without having any basic information on heritage sites, fleece tourists. The Department wants to curb this menace and one tourist guide will be deputed in each of the SUVs. The Department plans to introduce five such vehicles days before Dasara so that the initiative gets popular. Apart from a tourist guide, there will be a driver. Discussions are on regarding the duration of the package tour and the number of batches per day. Sources said that package tours in the open SUVs will be designed based on the existing packages offered by Karnataka State Tourism Development Corporation (KSTDC). Its packages include hop-on and hop-off and tours on wheels. Plans are on to introduce 2-hour packages — morning and evening tours — suiting tourist interests. The morning ride will be from 9 am to 11 am and the evening tour from 6 pm to 8 pm. Apart from the tourist guide, the Department will provide raincoats and selfie-sticks to tourists opting for SUV tours. The tours will be a combination of heritage properties, Palaces and temples and the Chamundi Hill. Places to be covered in the tour include Town Hall, Mysore Palace, Freemasons Lodge, K.R. Circle, Devaraja Market, Government Ayurveda College, Divisional Railway Manager’s office, Deputy Commissioner’s Office, Oriental Research Institute, CTI Building, Jaganmohan Palace, Maharaja’s and Maharani’s College. In the evening, tourists will be taken to temples including the Chamundeshwari Temple atop the Hill. Plans are also on to take tourists to the foot of Chamundi Hill near Uttanahalli for a panoramic night view of the Hill.